Nestled in the Southern Adirondacks, the Lake George Region is home to a fair number of fun yet challenging peaks. As a way to encourage hikers to explore the region to its fullest, an exciting hiking challenge has been created - the Lake George 12ster. What Is The Lake George 12ster? Similar to the well-known Adirondack 46er, the Lake George 12ster challenges hikers to summit a certain number of peaks. Hikers who complete this challenge and register to be a Lake George 12ster are officially recognized for their achievement with a patch. The Lake George 12ster was created by hiker and endurance trail runner Matthew Haley in the summer of 2016. While searching for trail running sites in Lake George, Haley discovered some of the area's hidden gem peaks. To raise awareness of these beautiful mountains, Haley established the 12ster hiking challenge. How Do You Complete The Challenge? There are 12 peaks to climb as part of the Lake George 12ster. In total, this amounts to 40 miles and 9,000 feet of elevation gain. You can hike the peaks in any order, but some variations of the challenge include time restrictions. 1. Lake George 12ster Challenge:	To complete the Lake George 12ster Challenge, all you need to do is hike the 12 peaks on or after August 20th, 2016. Then, submit the registration form to become an official Lake George 12ster. 2. Ultra 12ster Challenge: For this variation, you must hike all 12 peaks within a 24-hour period. Hikers must label their first sign-in and final sign-out at the trail registers as "Ultra 12ster." Write your finish time on the final trail register too. When you submit your registration form, include some evidence (photos, GPS, or write-up of the day). 3. Winter 12ster Challenge: To complete the winter variation, you must hike all 12 peaks between December 21st and March 21st. 4. Winter Ultra 12ster Challenge: This challenge is a combination of both the Ultra 12ster Challenge and the Winter 12ster Challenge. 1. Black Mountain: Black Mountain is located south of Huletts Landing on the east side of Lake George. This fairly easy hike is only 2.5 miles long. Directions: Park your vehicle at 1281 Pike Brook Road, Clemons, NY. The trailhead is near the parking area. 2. 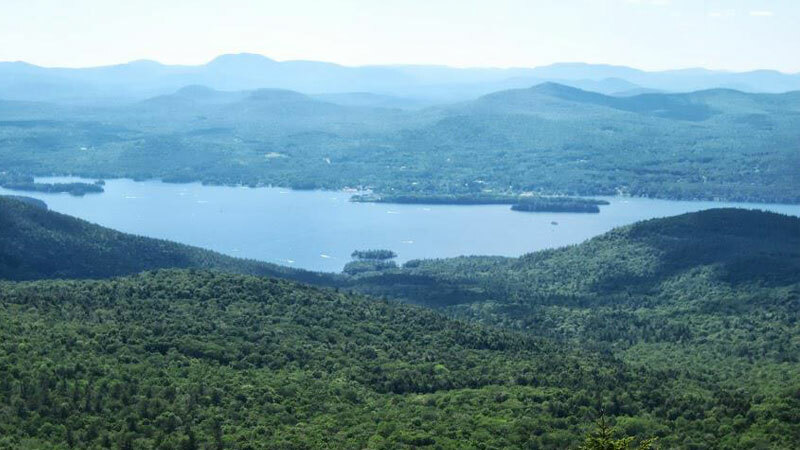 Buck Mountain: Located near Pilot Knob on the east side of Lake George, Buck Mountain is a rocky trail that may be difficult for younger children. The trail is 3 miles long. Directions: Park your vehicle at 1750 Pilot Knob Road, Kattskill Bay, NY. You'll see the trailhead nearby. 3. Cat Mountain: The Cat Mountain trail is 3 miles long and has some challenging sections. You can reach Thomas Mountain from a side trail. Directions: Park your vehicle at 761 Valley Woods Road, Bolton Landing, NY. A gravel parking lot is located by the trailhead. 4. Thomas Mountain: Thomas Mountain neighbors Cat Mountain on the west side of Lake George. The trail to the summit is only 1.4 miles long. 5. Erebus Mountain: According to the 12ster website, an official trail does not exist to the summit of Erebus Mountain. Rather than have hikers bushwhack their way to the top, the challenge states all you have to do is cross the dotted line, as pictured on their map. Directions: Take Shelving Rock Road in Fort Ann, NY to the Hogtown trailhead. If open, continue on toward the Dacy Clearing parking lot and trailhead. 6. Sleeping Beauty Mountain: This peak is located on the east side of Lake George near Shelving Rock. The trail is about 2.5 miles long from the Dacy Clearing trailhead to the summit, and it is well-marked. The Tongue Range is a group of mountains located on the west side of Lake George. The Lake George 12ster includes six mountains in the Tongue Range. 1. Brown Mountain: Located on the northern end of the Tongue Range, the summit of Brown Mountain is roughly 1.6 miles from the access point, the Deer Leap trailhead. Directions: To access the Deer Leap trailhead, you must get off at Exit 24 and take Bolton Landing-Riverbank Road. After 4.7 miles, go north on Route 9N. Stay on the road for about 10 miles until you see the Deer Leap trailhead parking area on the right. 2. Huckleberry Mountain: Huckleberry Mountain is located between Brown Mountain and Five Mile Mountain in the Tongue Range. You can access it from the Deer Leap trailhead as well. 3. Five Mile Mountain: To reach Five Mile Mountain, you can travel south from Brown Mountain for about 2 miles. 4. Fifth Peak: The recommended access point to Fifth Peak is by the southern Tongue Range entrance, the Clay Meadows trailhead. The summit of Fifth Peak is about 2.5 miles from the trailhead. Directions: To access the Clay Meadows trailhead, you must get off at Exit 24 and take Bolton Landing-Riverbank Road. After 4.7 miles, take Route 9N north for 4.5 miles until you reach the Clay Meadows parking area. A trailhead with a DEC sign is nearby. 5. French Point Mountain: From Fifth Peak, the summit of French Point Mountain is 2 miles away. The terrain between the two peaks is slightly rugged. 6. First Peak: At the southern end of the Tongue Range is First Peak. You can reach the summit of First Peak by hiking 1.4 miles from French Point Mountain.